It’s hot outside, and until it gets a little cooler, you’ll be looking indoors for some relief for the constant dry heat we experience here in Idaho. When you come home after a long day out in the heat, you want to walk into a comfortable, cool environment. If you enter your home, having left the air conditioner running, only to find that it is hot inside, something is obviously wrong. In some cases, the air conditioner may have broken down. What if it is still running, though, but blowing hot air from its vents? There are a few different problems that could lead to this phenomenon. Read on to learn a bit about the potential causes of the issue. 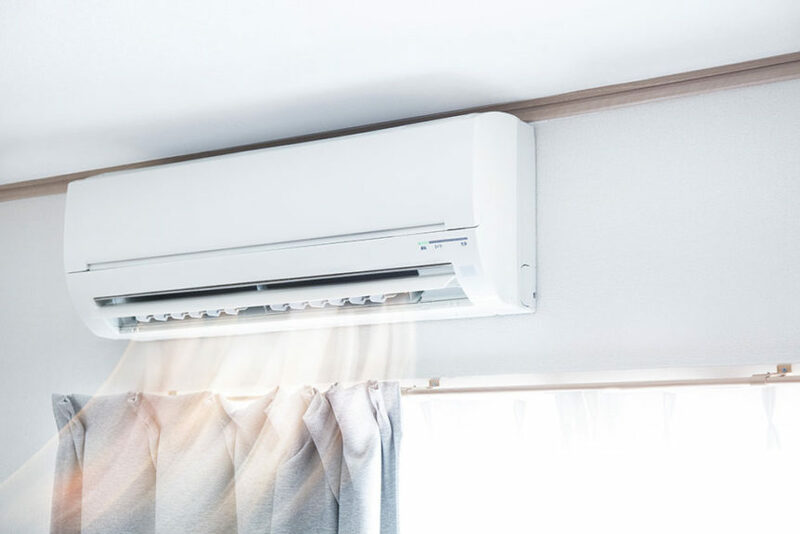 If you suspect that your air conditioner is in trouble, be sure to make ours the number that you dial for quality AC repairs in Idaho Falls ID. Let’s start off with a best case scenario cause of hot air blowing from your AC: thermostat issues. It is entirely possible that you accidentally set your thermostat wrong in the morning, or even that someone bumped up against it and inadvertently changed its settings. It could have been switched over to its “fan only” mode. Perhaps someone simply set the temperature too high, so your AC is not cooling the air as much as you’d expect. These problems obviously don’t require professional resolutions. However, if your thermostat is actually reading the temperature wrong, you will have to call in a technician. The indoor coil of your AC is also called the “evaporator coil,” and it is here, appropriately enough, that the refrigerant in your system evaporates. In doing so, it draws heat out of the air. If there is ice on this coil, then your system won’t successfully remove a sufficient amount of heat from the air surrounding it, resulting in warm air blowing from your vents. This ice serves to further insulate the coil, compounding the problem. If your filter is very dirty, the reduced airflow could result in this icing. Of course, ice on your coil could also be the result of refrigerant leaks in your system. This is a more serious problem than even a very dirty air filter. You may put too much strain on your compressor if you continue running a system with refrigerant leaks. That puts your system at risk of serious damage. If your AC is blowing warm air, Mora’s Heating and Cooling will figure out exactly what’s gone wrong and get it fixed right away!